Great story, 'The Shee', and more music from our Friends! We celebrate the Holidays with a party attended by some of our amazing friends. All of the music for the show has been provided by folks on the Friends of the Show page. You'll hear seven great pieces of music, a short poem by our resident bard, Chris Joliffe and a wonderful section from the novel, The Shee, by Dennis Sweet. A keen sorcerer of sonic visions, Phil Thornton has written and produced over 30 solo albums - with world wide sales of over 2 million - since beginning his musical odyssey in the early '80s with the group 'Expandis' (a unique artists collective best known for their innovative use of electronic sound). 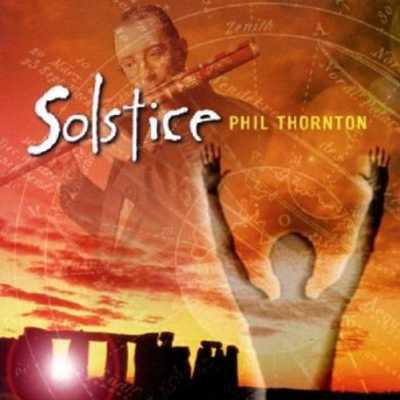 Phil's first two ambient albums 'Cloud Sculpting' and 'Edge Of Dreams' both topped the 'New Musical Express' New Age chart and are now widely acclaimed as classics of their genre. You can find Phil's music on iTunes, or from his website. You can find out more details about Phil and Expandis on his Contributor Page on our website. 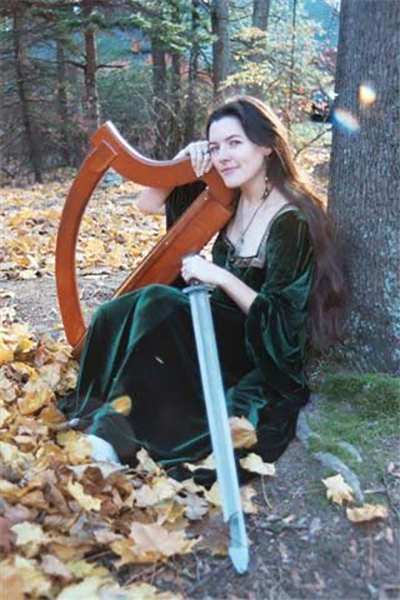 Jenna Greene is a Celtic Pagan singer-songwriter and harpist. Her songs are inspired by hope and healing, following bliss, nature mythology, the law of attraction and the little miracles in everyday life. She believes that music, nature and ritual are an empowering combination. Deeply influenced by the works of Joseph Campbell, she has studied world mythology and weaves these universal themes into her music. She believes that music, nature and ritual are an empowering combination. Deeply influenced by the works of Joseph Campbell, she has studied world mythology and weaves these universal themes into her music. 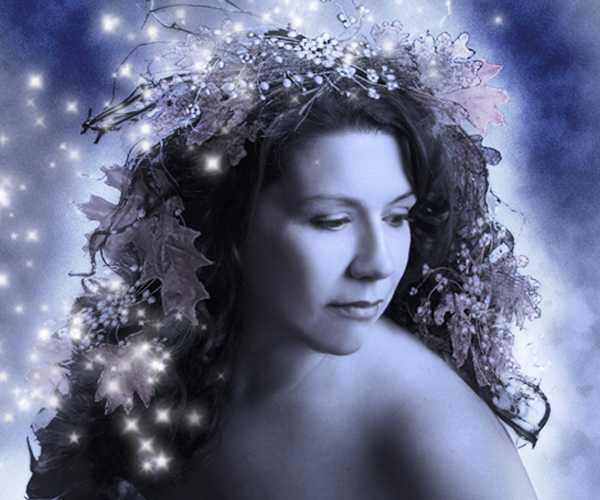 You can find Jenna performing at Celtic, Cultural, Faerie, Goddess, Renaissance, Natural Living and Holistic Healing festivals. "This is a home-made recording of a new song. In the spirit of the season, this is my holiday gift to my loyal and loving fans. I hope you enjoy it! I've studied many different spiritual traditions over the years. The more I learn, the more I realize how much they have in common. I think the lack of peace in the world comes from an "us and them" mentality. We are all seeking the same wisdom from the same loving Source. As we find the common ground that connects us all, we create a world of peace." Jenna can be found on Myspace, but her own website provides lots of useful information. You can find out more details about Jenna on her Contributor Page on our website. 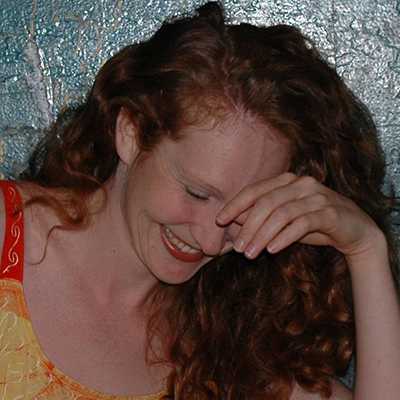 Celia is a singer, songwriter, actress, and storyteller who dishes up the most delicious concoction of the silly and the sacred. She is an amazing multi-faceted artist. From powerful, heart-felt vocals to wacky comedic improvisations, you honestly never know what will happen with Celia on stage. Think Enya meets Tori Amos meets Gilda Radner. 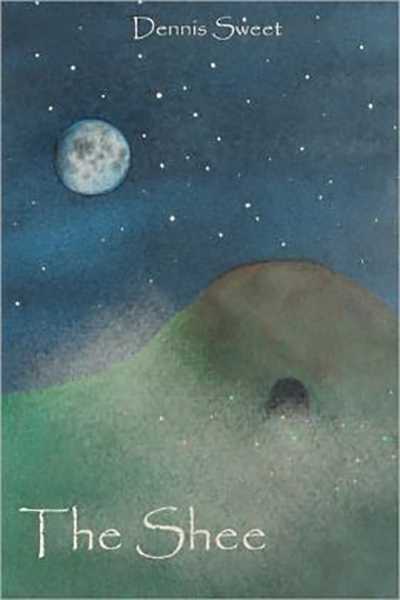 Solstice 2012, Solstice Night from the album Celia Sampler 2: A time to let go of the past and bring a new dream alive. This song was performed Live with Looping Technology. You can find her music on iTunes, Bandcamp, ReverbNation or CD Baby or from her website, Celia Online. You can find out more details about Celia on her Contributor Page on our website. Astoundingly, Chris is an undiscovered talent - that is, until now! This amazing bard has given us permission to use some of his amazing stories and poems in the show and we're sure that you'll love them just as much as we do. In this show, you can hears his short poem Annwvn about the deeply mysterious Celtic Otherworld that we are currently meeting in the Welsh stories (CMP 30 onwards). We hope to bring you much more of Chris in the future and in the meantime check out his Contributor Page to find out a little more about him. The band Môr Gwyddelig consists of two members: Myra Hope Bobbitt, a Welsh-American who writes in English and Welsh and plays a nylon-strung Celtic folk harp; and Caera Aislingeach, a Scottish- and Irish-American who sings in all three Gaelic languages (Irish, Scottish, and Manx), and plays a clairseach, a brass-strung medieval-style Gaelic harp. 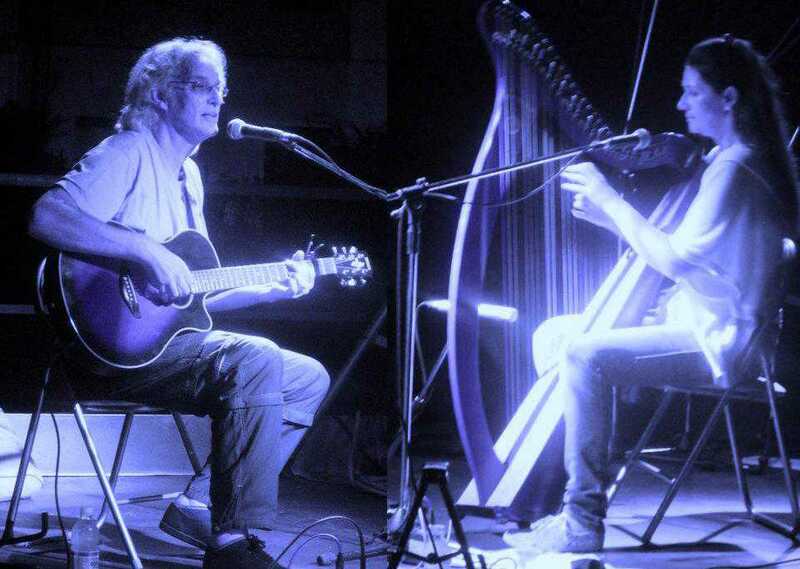 Together they have recorded and played medieval European music, traditional Celtic music from almost all of the Celtic nations, and original music they have both written, in Welsh and Irish as well as in English. 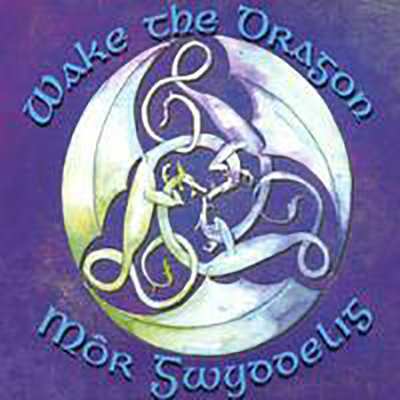 In July 2004, Môr Gwyddelig released their long-awaited album, Wake the Dragon. This album contains historical, traditional, and original music, in Welsh, Irish, Scottish Gaelic, and Middle French (circa 1556), as well as English. Original songs are in Welsh and English. You can find her music on iTunes, CD Baby or from her website. You can find out more details about Caera on her Contributor Page on our website. Celtic Twist are Phil Holland and Dave Palmley. Phil, a Celtic harpist/singer/songwriter, is of Irish and Scottish origin, rooted and educated in Celtic music and western classical music. Dave is a prolific and eclectic British singer/songwriter/guitarist. His music, is principally rooted in pop/folk/rock, but draws also from many other influences, all of which can be heard in his song writing and instrumental compositions. Together they make up Celtic Twist and bring a unique, evolving and thoroughly addictive Twist to the Celtic music genre. Each song is evocative of ages past, with harp, fiddle and guitar mongst many other instruments moving us to realms of magical vision. You can find their music on iTunes, CD Baby, or from their website, Celtic Twist. You can find out more details about Phil and Dave on their Contributor Page on our website. Dr. Dennis Sweet has been a student of Celtic mythology and Irish literature all his adult life, and has lectured on these subjects at Hendrix College, Bowdoin College, and Fordham University. In addition to various professional publications, he has two other books to his credit. In The Shee, a sídh ('shee'), or "fairy mound," has been discovered in western Ireland: the oldest artificial structure in the world. When opened, a rash of bizarre and inexplicable events occur throughout the region. A young American anthropologist and his friends try to understand the significance of these events in light of what was found in the shee...and what escaped from it. The section we bring you in this Party show tells of the encounter between Cultural Anthrolpologist Paul from Kansas (pardon his lack of a Kansas accent!) and a very mysterious character! You can find out more details about Dennis on his Contributor Page on our website. 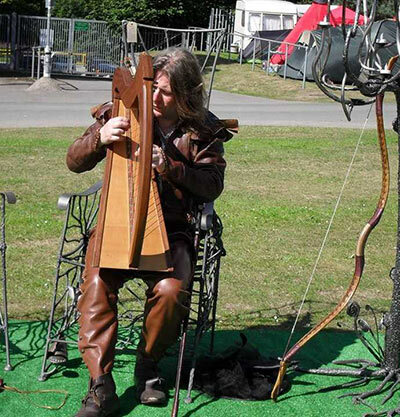 We first performed at Herstmonceux medieval Festival UK in 2001 with some other local musicians. We met lots of interesting people, and quickly developed a passion for re-enacting as Medieval Minstrels/Troubadours. 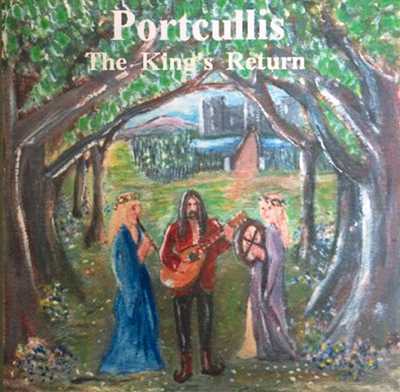 In 2003 we formed Portcullis, and Jason began to put our CD together, which was released in 2004. You can find out more about Portcullis on their Myspace page or on their Contributor Page. by a 'Celt in America' & Witchy Godmother. We bring you some wonderful voice listener feedback, wishing Alicia, the Witchy Godmother good luck with her new show and a Happy Solstice to 'A Celt in America'! Damh's new album is a superb compilation of spiritually uplifting songs about the Celtic Gods. This song, Antlered Crown & Standing Stone, is a wonderfully unique and powerful song of worship to the ancient Horned God of the Celts. As usual, Damh has brought us a completely new channel to the ancient and magical powers that dwell within our Ancient and Sacred Lands. You can get hold of Antlered Crown & Standing Stone from iTunes, CD Baby or his website at Pagan Music. He is also the voice behind Druidcast, the official podcast of the Order of Bards, Ovates and Druids (OBOD, for short) - modern day Druids. 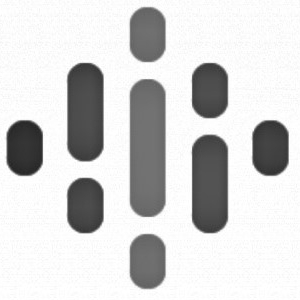 You can find Druidcast here and find out more about OBOD here. You can find out more details about Damh on his Contributor Page on our website. Anne Roos, for King of the Fairies from her album A Light in the Forest. See her website for further details or check outher Contributor Page. Tomasc Kucza, for Dreams in Stasis Chamber from his album Planetology. See his website or our Contributor Page for more details. Sara Ayers, for Winter and the Sound of Nothing from her album, Sylvatica and Lily Solo Voice COda. See her website or our Contributor Page for more details. Roger Subirana, for his track Ynnar retidem from the album L'indret prohibit (2002). See his website or our Contributor Page for more details. Victor Stellar, for Glacial Epoch from his 2008 Singles. See his website or our Contributor Page for more details. Phil Thorton, for Inside from his album Edge of Dreams. See his website or our Contributor Page for more details.